Rita Beatrice Rosenfeld was born in New York City in 1918. She graduated from Hunter College in 1939 with a B.A. degree, and received a diploma in piano from the Juilliard School of Music. During a trip to France she met and married Arthur Benton, a clinical psychologist with the New York Hospital. After his military service during World War II he was offered a position as Professor of Psychology at the University of Iowa, bringing the Bentons to Iowa City in 1948. Rita enrolled in the University’s School of Music and in 1951 received her M.A. in musicology. In 1952 she was hired part-time by the University Libraries to catalog the music holdings, but her duties soon expanded to include acquisition and management of the collection. In 1957, when the basement of Eastlawn building became the home of the new departmental music library, Rita was named its head, remaining part-time Music Librarian and Professor in the School of Music until her death. She developed a solid collection of musical research materials with emphasis on the reference and periodicals collections, and helped plan the layout of the library when it moved into the new School of Music Building (now Voxman Music Building) in 1971. Meanwhile she had continued her studies in musicology with Albert T. Luper as advisor and mentor, and received her Ph.D. in 1961 with a dissertation on Nicolas-Joseph Huellmandel. In 1977 Pendragon Press issued her magnum opus, Ignace Pleyel, A Thematic Catalogue of his Compositions, which received the Music Library Association’s award for the best book-length bibliography of that year. She edited the initial volumes of the Directory of Music Research Libraries (RISM C), and wrote articles for Fontes artis musicae, Music and Letters, Musical Quarterly, and other journals. She also edited and translated Claude Debussy Songs (Dover, 1981) and French Song from Berlioz to Duparc (Dover, 1970, 1988). In 1990 Pendragon published her last book, Pleyel as Music Publisher, a Documentary Sourcebook, which was completed by Jeanne Halley. 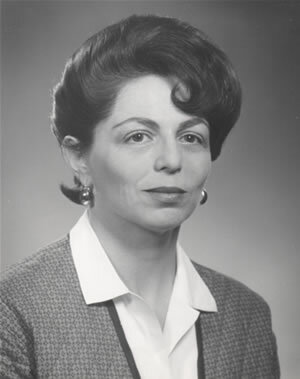 Rita Benton served as President of the Music Library Association during 1962-63, and in 1962 delivered the opening lecture of the Sixth International Congress of the International Association of Music Libraries (IAML) in Stockholm. In 1976 she became editor of the Association’s journal Fontes artis musicae, and was in Paris in connection with her editorial duties at the time of her death on March 23, 1980. On September 13th of that year the University of Iowa dedicated the Rita Benton Music Library “in recognition of her service to this University and her contributions to music librarianship and musicology.” Fifteen years later the University Libraries and the School of Music sponsored A Commemoration of Rita Benton, which took place on September 22-23, 1995. Her contributions to musicology and librarianship will continue to be significant for many years to come.